Those who own or have come across a John Deere EZtrak mower understand they are incredibly simple to operate, yet they also get the job done. However, the mowing process can be enhanced even further thanks to a number of available EZtrak mower attachments. To showcase some of these attachments, we’ve put together a list that provides a short description of each. Enjoy! Utilize this 15-gallon sprayer attachment to apply a variety of liquids, including liquid fertilizer, weed killer, tree spray, de-icer and more. The sprayer’s boom sprays a 60-in. swath and a 19-foot hose and wand has the ability to spot spray lawns and shrubs. Available for Z400s and Z600s. Thanks to a solid frame design, big tires, well-placed controls, and high-quality mower decks, John Deere EZtrak™ Residential Zero-Turn-Radius Mowers provide property owners with a high-performing set of equipment that’s ready to take on large, level tracts of land. 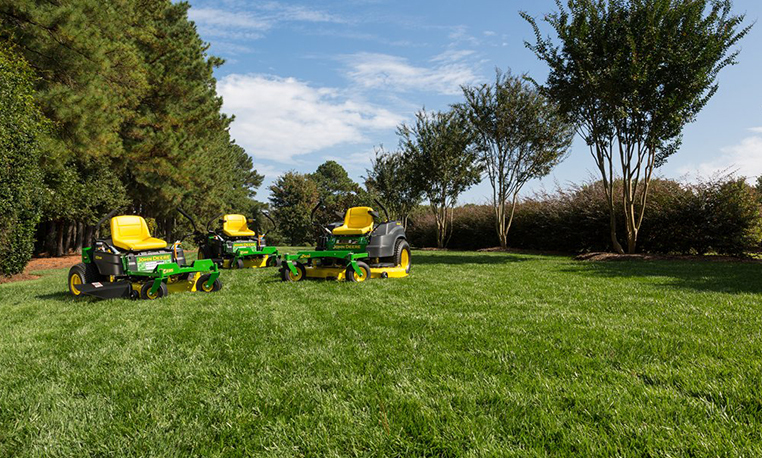 The John Deere Z425 and Z445 are two very popular zero-turn models that offer many shared and differentiating quality features. Since they belong to the same family, we see many instances where property owners are looking for differences between the two models. 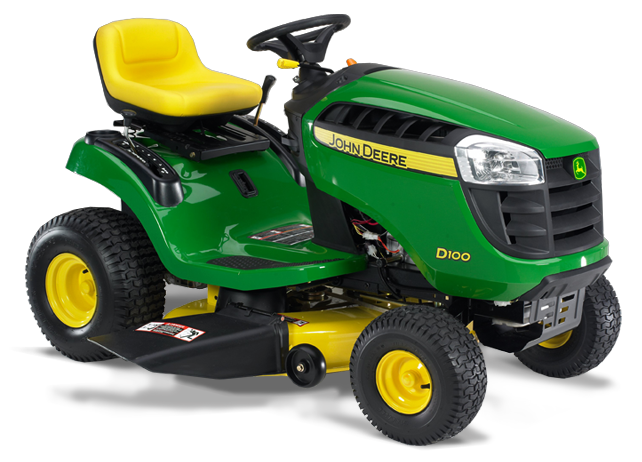 With these instances in mind, we’ve put together of list of key features and elements that define the similarities and differences when comparing the John Deere Z425 vs. Z445. Last week, we continued our journey through John Deere riding mower history, looking at the 1980s, a decade that seemingly mended the past with the future. The 80s marked Deere’s lawn and garden break-in to diesel, the introduction of the “R” and “S” Series, and a few key changes to existing models. 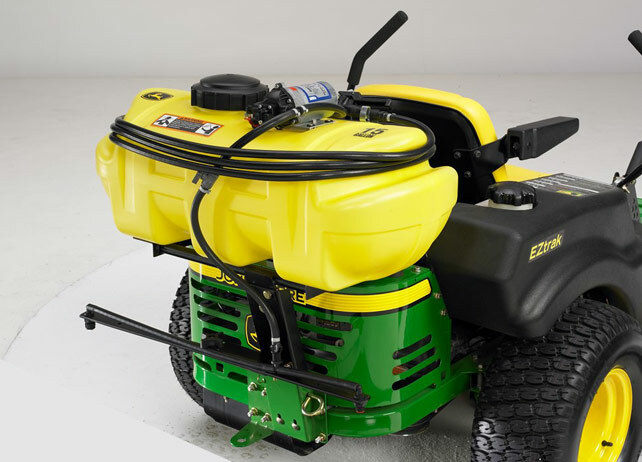 Today, we will look at some of the most critical upgrades and introductions of the 1990s, a decade that furthered Deere’s growth in the industry and provided customers with more lawn and garden tractor versatility than ever before. Without any further delay, let’s go back in John Deere riding mower history once again! Homeowners that care for their lawn are always looking for ways to improve its health and make it more visually appealing. A major player in this process stems from their mower’s ability to produce a precise, even cut. The John Deere D100 mower allows for just that, and more, thanks to a number of features. Let’s take a look at some of the unique features that can be found within the D100 and the role each plays in providing land-owners with a durable mower that has outstanding cutting ability.